I wanted to do some mountain biking in the hills of El Salvador before making our way back to the beach. 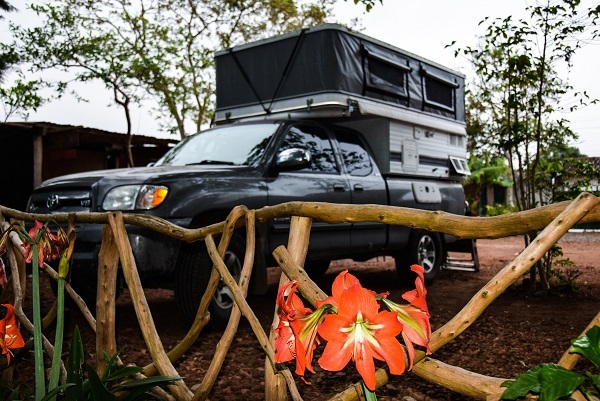 To do this we entered El Salvador via the Pan-American highway.We camped the previous night at a hot springs park just 66km from the Guatemala / El Salvador border that set us up for a relaxed morning to arrive at the border early. After crossing the border we got onto the Ruta de las Flores. 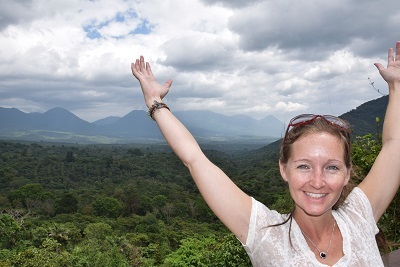 The views of the El Salvador jungle highlands were stunning along this route. 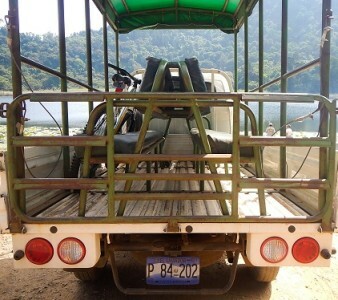 We arrived in Apaneca mid afternoon and directly went to securing a mountain bike rental for the following day. We hooked up with Apaneca canopy adventure tours and after spending some time talking with their mountain bike guide about our trip thus far he invited us to camp in the garden parking lot of their office. I got an early start with my guide the next morning, destination Laguna Verde. The climb up was a straightforward hill climb on a road that was a mix of cobblestone and dirt. 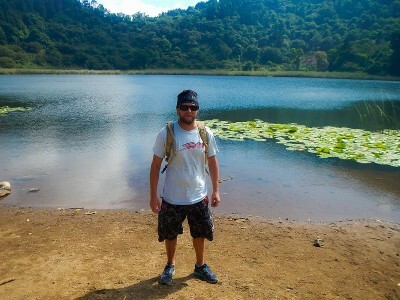 When we reached laguna Verde we hopped on some single track that took us around the lake. After catching our breath and taking in the views around Laguna Verde we headed back to town. The ride back was some screaming downhill on the open jeep trail that we had ascended on. I returned early afternoon and we had some lunch in Apaneca before making our way down the Ruta de las Flores to another larger crater lake that we camped at for the night Lago de Coatepeque.